Over the past 2 years, a large number of enterprises have jumped onto the cloud bandwagon. The main reasons for this growth have been a plethora of cloud hosted applications in the market, both from the large incumbents and new entrants, along with the known economic and operational benefits of adopting this technology. 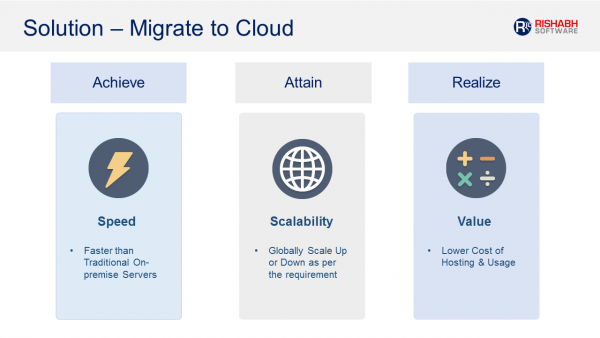 In addition to the cost benefits, ease of scalability, operational agility, quick upgrades and flexibility are some of the obvious benefits of moving onto the cloud. On the other hand, cloud skeptics have also voiced serious concerns over data security and confidentiality, which continues to be a debated topic. 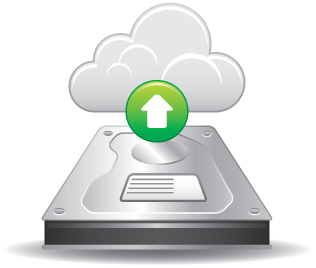 Stage 1: Co-locating or Rack Hosting of Hardware – As part of the first step, enterprises can move their hardware services to an offsite data center which could be owned or managed by a third party. In doing so, the enterprise can overcome any current limitations of its available data center space, requirements for additional power or peripheral services like cooling or humidity control. This allows for ease of scalability without compromising on the organizations initial security concerns related to moving the business critical applications to the cloud. Stage 2: Managed Services – Here the enterprise could continue to own the hardware while services can be provided by a third party vendor. This type of environment is suitable for Web based ‘thin’ applications or SaaS services and is generally governed by service level agreements. This also proves beneficial if the enterprise wants maximum depreciation from the assets that it has purchased recently. Stage 3: Moving onto the Cloud – With sufficient experience under its belt, the organization can choose to migrate it’s enterprise data to the cloud. Such a transition requires long term planning and should be part of the organization’s strategy. In this stage, the enterprise will own neither the services nor the hardware; both are managed by the selected outsourcing vendor(s). It is advisable that enterprises conduct in-depth research of the service providers in the market and assess their track record especially for the levels of security and responsiveness to client needs. Location of the service provider’s data center is also critical for industries where data privacy is tightly regulated, such as Financial Services. In addition to a thorough assessment of external vendors of cloud applications, enterprises should also be sensitive to the need of a good change management program to enable their existing business functions to successfully migrate to the cloud. 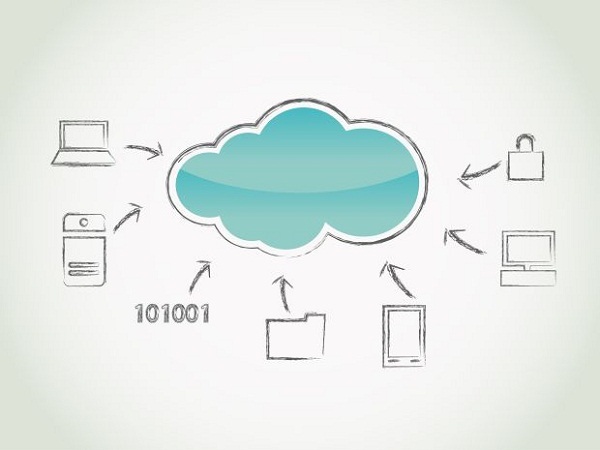 Rishabh Software has a track record of helping enterprises migrate to the cloud successfully. Call 1-877-747-4224 or fill in the contact form for information on cloud services provided by Rishabh Software.